“A Christmas Worry,” written by J.E.G. 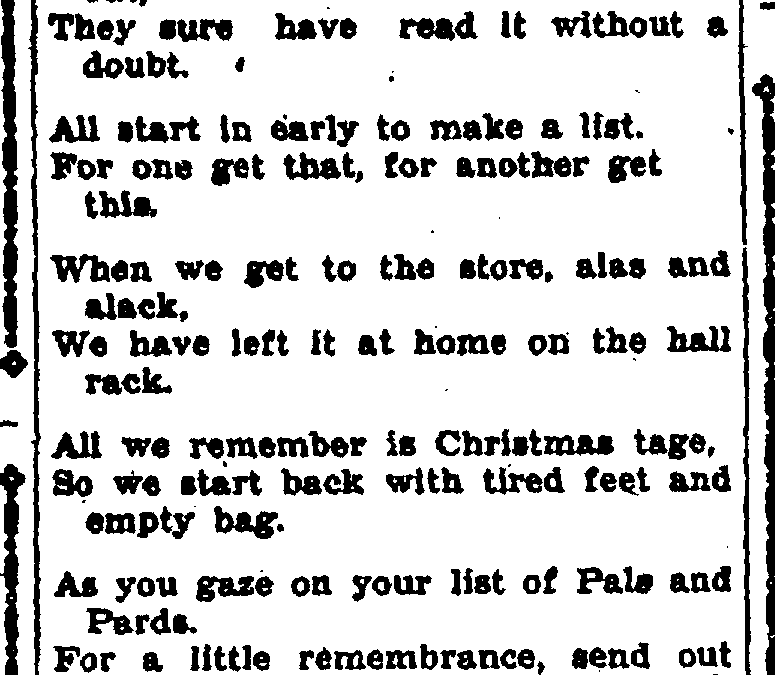 in Lowville’s 1939 The Journal and Republican, touches on a few Christmas topics most can relate to. It’s a fun read that is true even today and probably will be for many years to come. If you would like to read the full poem, click here.